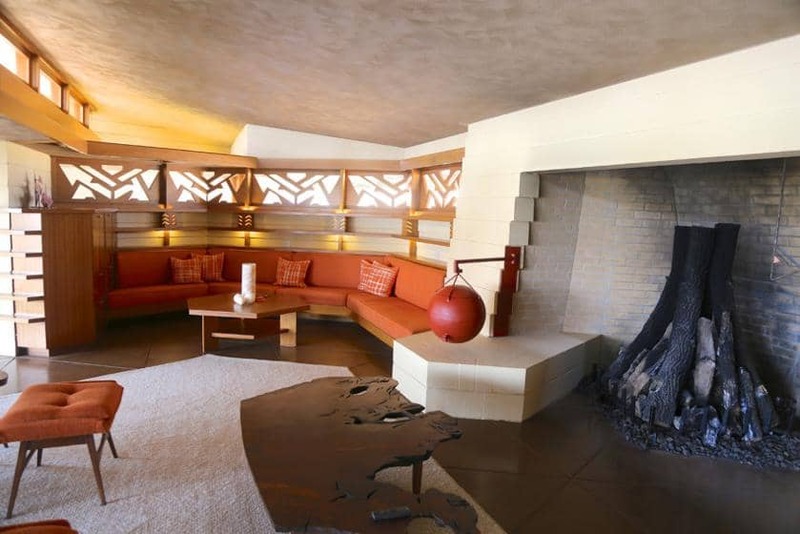 The Fawcett house is one of the best examples of Frank Lloyd Wright’s unconventional approach to design. 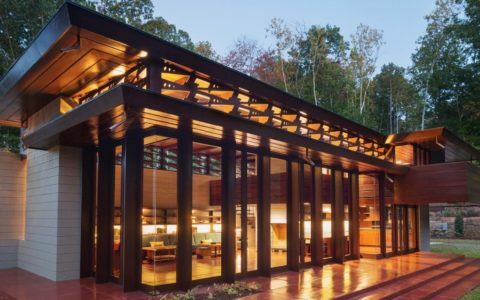 For Wright, architecture was a great living spirit from which generation to generation, from age to age, proceeds, persists and creates according to the nature of men and his circumstances as they change. 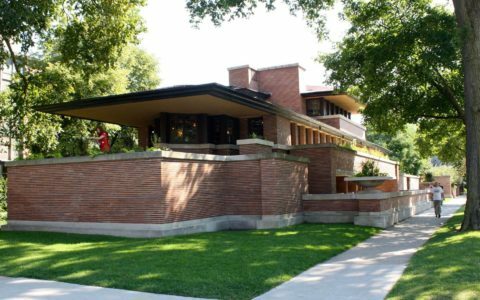 In nearly seventy years Frank Lloyd Wright’s architecture became synonymous of revolution. 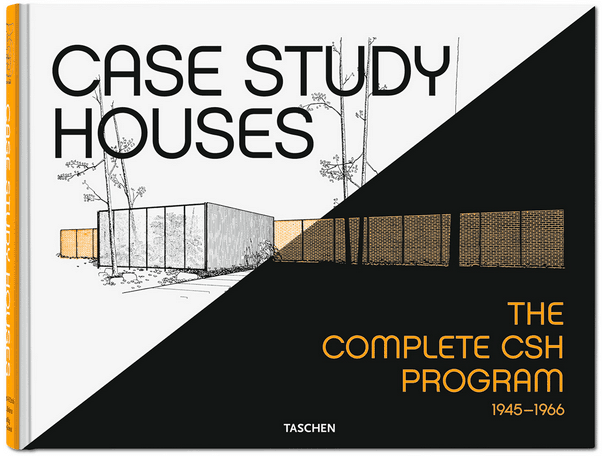 He destroyed the traditional concept of the box by creating rooms that were open and free flowing. His structure’s were not built on the land but of the land. They were built not to be looked at but to be lived in. 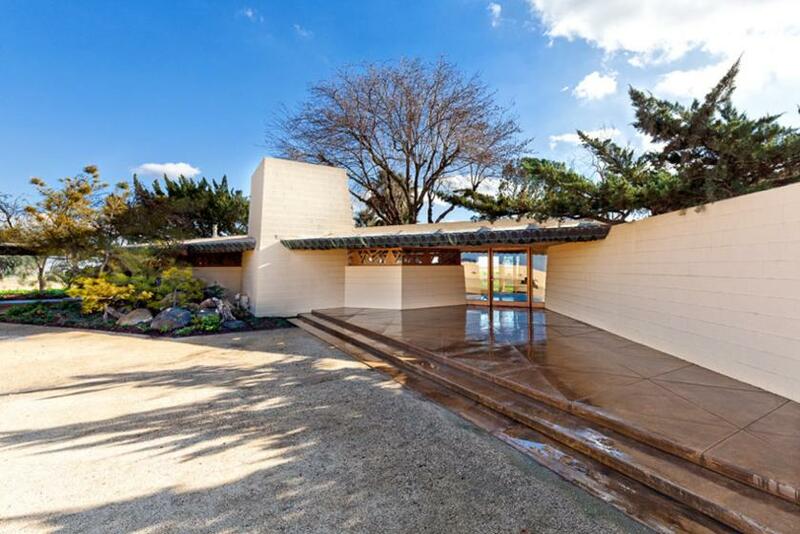 Frank Lloyd Wright’s Fawcett House in Los Banos, CA, is considered one of his masterpieces, being built in 1955. 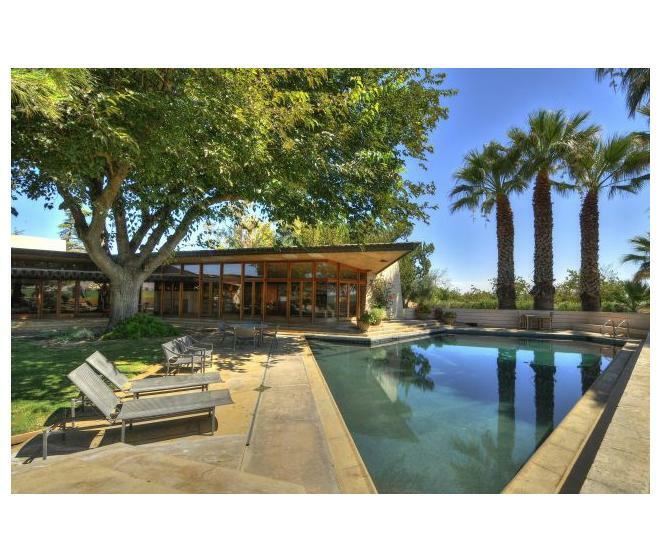 The single-story structure has a total square footage of 3800 square feet, designed in a triangular grid base. 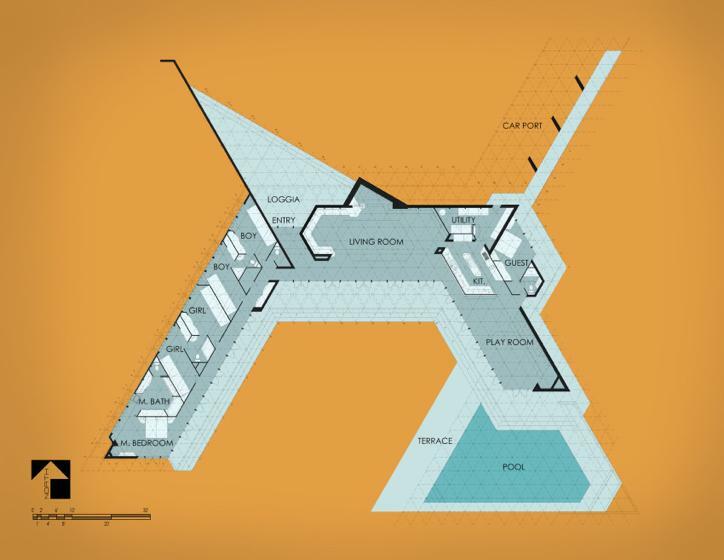 The complete design aspect is triangular, even in details such as the carpet for the living room and triangular shaped skylights to let natural light inside. 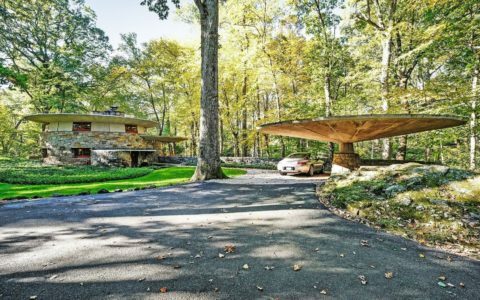 From the carport driveway to the forecourt leading to the main entrance, the structure is winged out in three different directions, capturing once again the triangular theme. In the living room, the dominant feature is the inverted pyramid shaped fireplace, complete with cauldron and intricate carved woodwork panels and built in seating. Just off the living room is the dining room and kitchen, separated by the same intricately carved woodwork panel encountered in the living room. Following a narrow hallway, the playroom becomes visible as if one is entering a grand space. 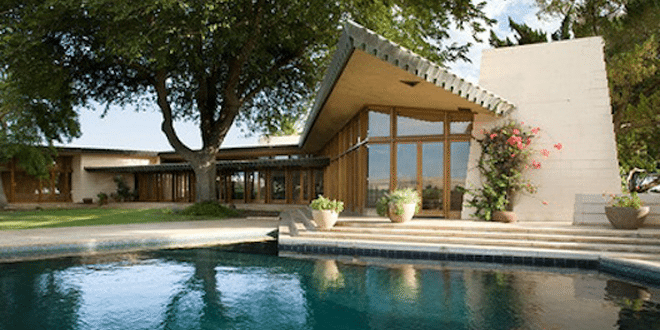 This concept, Frank Lloyd Wright applied in many of his designs, the first being in his own house in Oak Park Chicago. From the playroom, there a full view of the swimming pool and terrace. On the opposite side of the living quarters, the bedroom wing spreads out like a bird taking flight. It consists of four bedrooms and a grand master bedroom complete with en-suite bathroom. 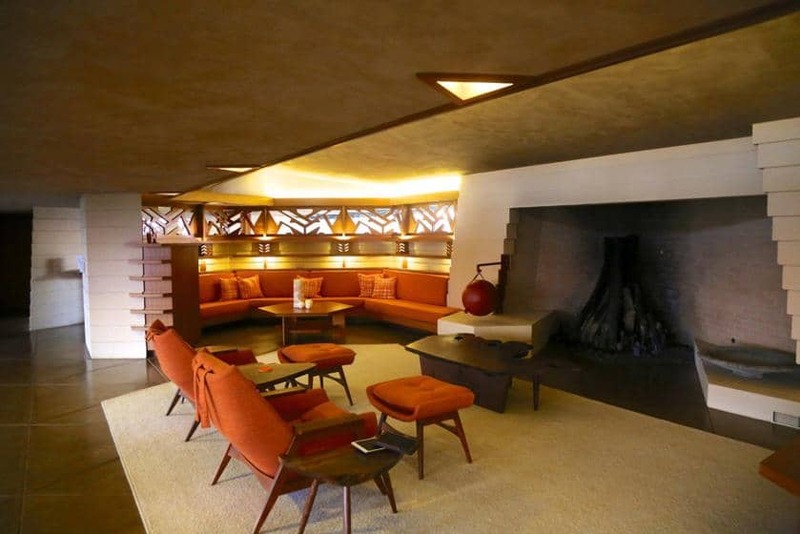 Fortunately, as many other Frank Lloyd Wright’s houses, also the Fawcett House has been restored. In July, 2012 a full restoration of Fawcett House was made possible by architect Arthur Dyson. 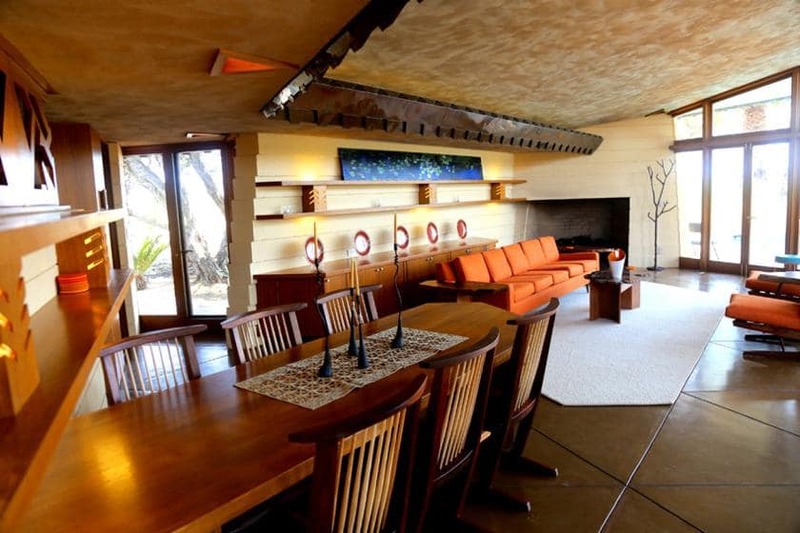 He studied the original plan extensively and in close collaboration with the Frank Lloyd Wright Foundation, the Frank Lloyd Wright Archives, members of the Taliesin Fellowship and owners of the house, the restoration took place. 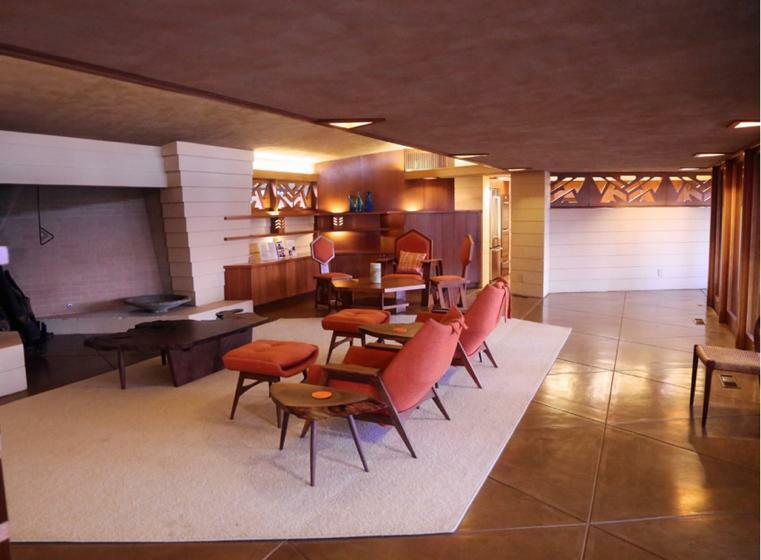 This restoration allowed the Fawcett House to reclaim its place as a representative of Frank Lloyd Wright’s architecture. 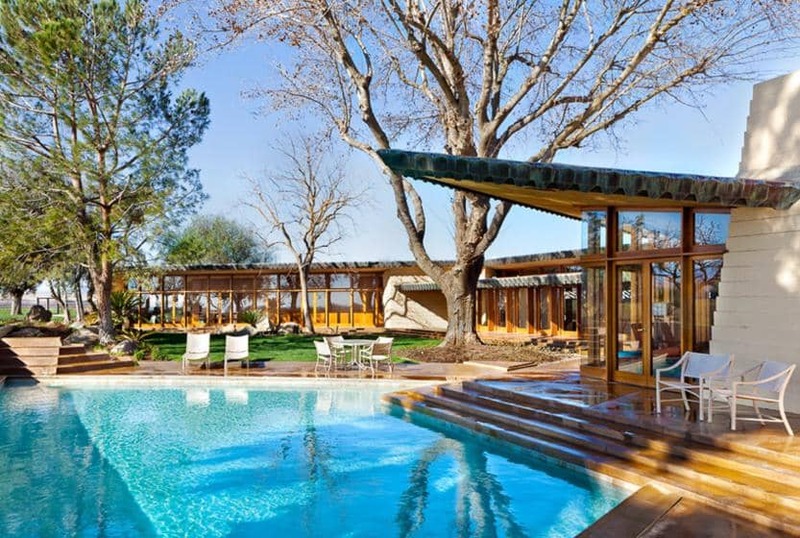 Photos via Residentialarchitect, Scott Mayoral / Central Meridian Photography.